Why do we have Leap Year and Where did they come from? A year is 365 days long and without a Leap Year every four years, we would lose almost six hours from our calendar. We need Leap Years to keep our calendar in alignment with the Earth revolving around the Sun. Without Leap Days, we would lose 24 days after 100 years. In 46 BC, Julius Caesar created the Julian calendar that allowed for a leap year every four years. Why do we have leap year: It takes the Earth 365 days to go around the Sun. Yes, we make the calendar line up with the number of days the Earth takes to orbit the Sun. It ensures that winter is actually in the winter months and summer is in the summer months and so on. But, it really takes the Earth about 365.2425 days or about 365 days 5 hours 49 minutes and 12 seconds to finish its rotation around the Sun. It seems like that is a little less than an extra quarter of a day each year. How do we account for that? Should we add an extra day to ensure that our seasons line up? If so, how often? 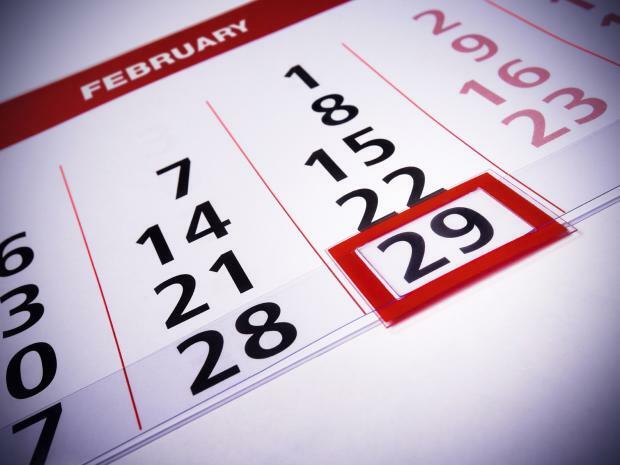 The answer is the extra day that is inserted in our Gregorian calendar every four years is February 29th. A day is added to the calendar in leap years as a corrective measure because the Earth does not orbit the sun in precisely 365 days. When and why do we have leap years? The length of a tropical year is about 365.25 days. In order to keep the calendar year synchronized with the seasons, we must add one day every four years (February 29). For precise synchronization, years divisible by 100 (e.g., 1900) are not leap years unless they are divisible by 400 (e.g., 2000).